The laws adopted at Monday’s session by a majority of votes of the House of Peoples of the Federation Parliament will grant each of seven municipalities a status of cities. Since they had previously been approved by the House of Representatives, the conditions had been met for these laws to come into force after being published in the official gazette. All seven laws were approved in both houses by a shortened procedure. 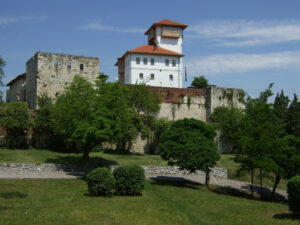 The city’s status was given to Capljina, Ljubuski, Gradacac, Visoko, Gracanica, Srebrenik and Zivinice. The Mayor of Visoko, Amra Babic, earlier stated that the status of the city opens many doors. “We expect better and easier access to the European Union funds, especially IPA funds, and we are sure that the status of the city will enable access to these funds,” Babic said. In order for one municipality to get the status of a city, it is necessary that it has 30,000 inhabitants, 10,000 in the small town core and to have a cultural and historical heritage.